Before now, it looked as if Infinix won’t be launching too many phones this year compared to last year (2016), but that doesn’t seem to be so as leaks suggest that the likes of Infinix Hot 5 and Infinix Zero 5 are still to come this year. 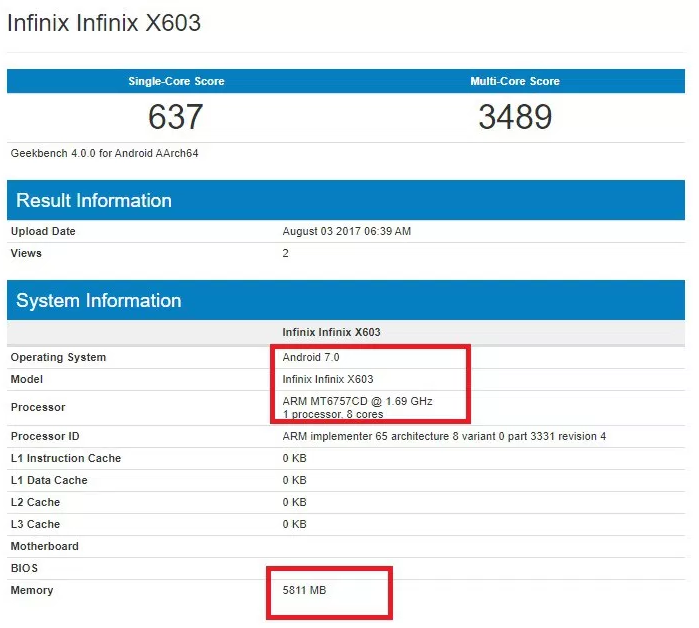 An astonishing picture of Infinix Hot 5 surfaced online some while ago, and now, the specs of an Infinix phone dubbed Infinix X603 has surfaced on GFXbench and Geekbench. It is not clear whether the phone will be Infinix Zero 5, Zero 5 Plus or even another Infinix phone entirely, but going by Infinix’s previous launches, it most likely going to be either of Infinix Zero 5 or Infinix Zero 5 Plus. Recall that Infinix Zero 4 had the model number X602 and was launched together with Infinix Zero 4 Plus. Both devices where the last and most premium Infinix devices for last year. You can see similar trend with this new leaks. From the leaked specs, the X603 device will feature 6GB RAM, 64GB internal storage, full HD 6 inches display with 1920 x 1080 screen resolution, Android 7.0 Nougat, ARM Mali-T880 GPU and MediaTek Helio P25 (MT6757CD) system-on-chip (SoC). The chipset feature octa-core processor and will be clocking at the speed of 2.3 GHz. It is not clear what the MP of the cameras will be, but it seems the device will feature dual back camera with features like autofocus, face detection, LED flash, HDR photo, touch focus and many more. That will put the device as the first Infinix phone to feature dual back camera. Recall that Infinix S2 and S2 Pro had dual cameras but at the front. Some months ago, Infinix Mobility shared a picture of a device that was said to be Infinix Zero 4 Edge, but it turned out that they were only playing April fool prank with their fans. 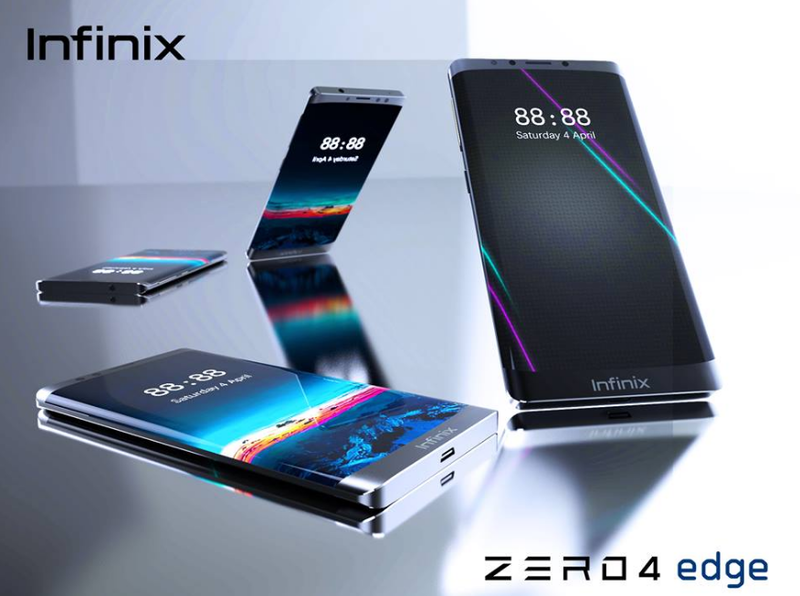 It could very well be that the picture of the would be Infinix Zero 4 edge is actually the picture of Infinix Zero 5. Just maybe. 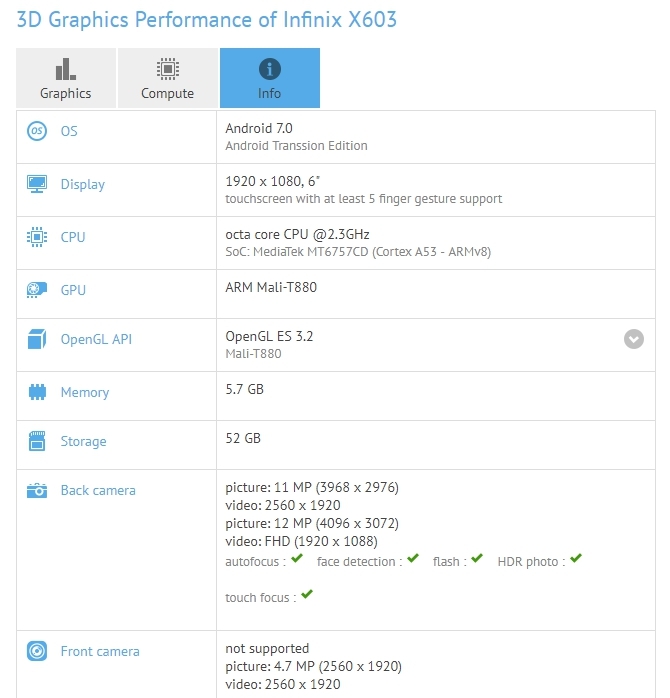 Infinix is yet to make any official statement about the device, but from the specs leaked, it is clear that the Infinix Zero 5 won’t be a child’s play device. We will keep you posted as we gather more information about the device so stay tuned.